The building is located on northbound Fremont Street, at its intersection with one-way eastbound Main Street / Wisconsin Route 66, at 1108 Fremont Street, Stevens Point, Wisconsin 54481. NOTE: There is lots of parking on Fremont Street to access the marker; otherwise, no nearby ("legal") parking available. The property is listed on the National Register of Historic Places: Wisconsin and the Wisconsin State Register. See also, At this site, R. Lee Sherman Dreyfus was sworn in as Wisconsin's 40th Governor, also at this location. 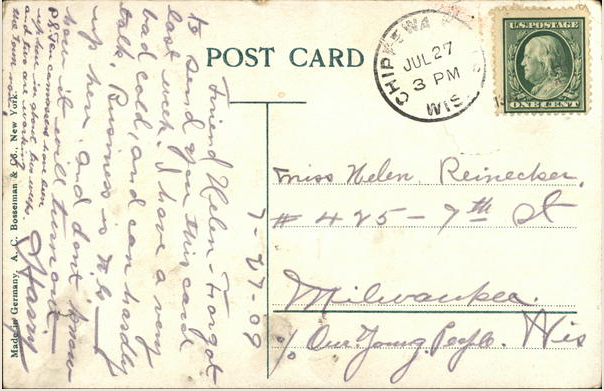 Screenshots of vintage postcard provided by CardCow.com. Normal School, Stevens Point, Wis. The small marker is mounted to the facade, to the right of the entrance. 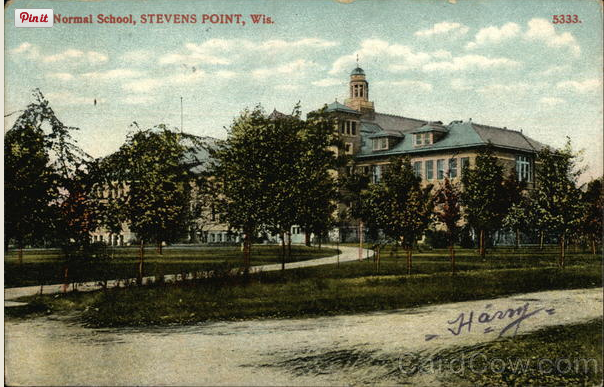 The building is now "Old Main" to UW Stevens Point.